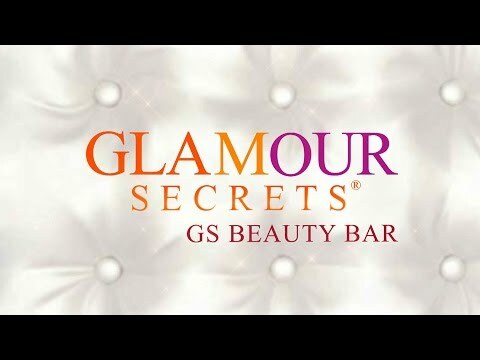 Glamour Secrets GS Beauty Bars are the newest and most exciting launch in franchising in years. Created by Trade Secrets, Canada's leader in salon beauty product retail, Glamour Secrets GS Beauty Bar provides a quick service beauty experience for the female customer on the go. Glamour Secrets GS Beauty Bar provides services to a wide demographic of females from 15-70. From mini makeovers to hair extensions, eyebrow and lip waxing, complete nail services, shampoo and blow drying, threading , waxing , eyelash extensions and over 70 services all under one roof. The franchise store also retails the top brands of salon grade products in the world. While the franchise is mostly service based, customers will enjoy the ambience, wireless, live demonstrations, tester bars, music, private beauty stations and beauty advice. Glamour Secrets GS Beauty Bar opened its first store in the heart of Toronto's financial district to rave reveiws and huge crowds of customers. The services may be fast with a keen eye for detail and quality. Clients won't need to need to make an appointment and can be assured of prompt and professional service by industry professionals. The esthetics market is poised for huge growth and has been growing in double digits in the past decade and Glamour Secrets GS Beauty Bar gives a franchisee an advantage in taking this market. Excellent opportunities available in high traffic sites in North America. Bank financing is available for qualified franchisees. click here to find out more information in our Master Franchise listing. We will supply your contact information to the companies that you request to receive information from! Please keep me up to date on the latest franchise opportunities via email. By clicking the Submit Info Request or Send Request Now buttons on our site, you are providing your consent to these companies to contact you.